American Poet, Ralph Waldo Emerson, expressed a truth that resonates with the significance of our reflections of this last week: The earth laughs in flowers. Two years on, we reflect on the 7.8 magnitude Kaikoura earthquake that rocked New Zealand and devastated the North Canterbury and Marlborough regions, not only shattering the environment but the lives of many whānau and families. Shortly after midnight, the earthquake started in Culverdon, 70km south of Kaikōura, ripping across several fault lines, including one that was previously unknown. It tore through SH1 and swept the Main North Line railway out to sea. The quake ended 90km north of Kaikōura, particularly impacting Clarence and Seddon. GeoNet described the 160km long rupture as the earth "unzipping” itself. As far away as Wellington, people were shaken from their beds and had to take shelter. Tsunami sirens wailed across the region and severe aftershocks rumbled throughout the night, creating an unnerving sense of powerlessness and vulnerability. It was a harrowing night that will be remembered forever by those who witnessed it. Yet a couple of weeks back when I stood on the Kaikoura shorelines and admired the vibrant flowers that had grown out of the barren rocky shore I thought about how even in our darkest times a seed can grow and new shoots of hope appear. It is a perfect time to re-evaluate our last two years; to reflect and recognise the strengths that came out of adversity, and to restore to ourselves that right to be; knowing whatever comes our way with courage and belief, we can get through. From the top of the South, how amazing is it to see an exciting new resource to support all its members. The initiative came in response to an ethnographic study commissioned by Ngāti Apa ki te Rā To to better understand how to support their own members. The resource kit is about supporting whānau to learn and familiarise themselves with their history, their stories and waiata, their karakia and pepeha. The kit is illustrated by graphic artist Tui Johnson. A booklet accompanies footage shot by Loud Noise Media and a handy wallet card. In 2015 I was a member of the Expert Advisory Panel that reviewed Child, Youth and Family and set up the platform for Oranga Tamariki. One of the most exciting developments from that report was recognising that the key to supporting improvement in outcomes for Maori is through engaging in strategic partnerships with iwi and Māori organisations as a primary mechanism for providing opportunity and inviting innovation to improve outcomes for vulnerable Māori children, young people and their whānau. A strategic partnership is defined as when government and communities work together around a common objective, to achieve a collective impact by sharing responsibilities to meet the needs of children and families. This week, the very first strategic partnership with iwi was launched – and that was between Ngai Tahu and Oranga Tamariki. Strategic partnering involves: joint planning and mutual trust, clear governance processes, transparent performance metrics and reporting, collaborative risk management and issues resolution, and multi-tiered relationships and information exchanges. The team from Oranga Tamariki and Te Runanga o Ngai Tahu that came together for the signing of the strategic partnership. 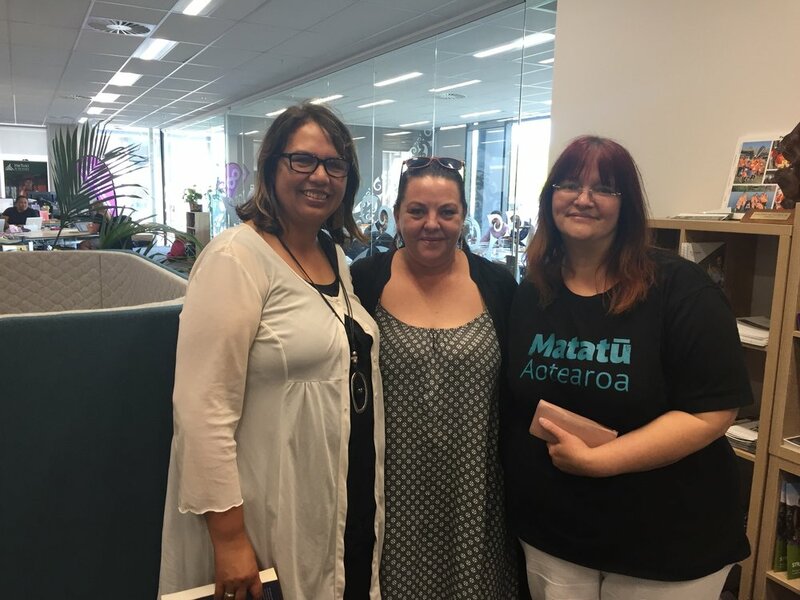 Helen Leahy with Grant Bennett the new Chief Social Worker and the first Māori Chief Social worker Shannon Pakura, who was Chief Social Worker from 1999 to 2007. This week two of our team, with the generous support of Te Runanga o Koukourarata, were able to represent Te Pūtahitanga o Te Waipounamu at the national Māori housing conference at Turangawaewae marae in Ngaruawahia. The National Maaori Housing Conference is a biennial event and is held throughout the regions. 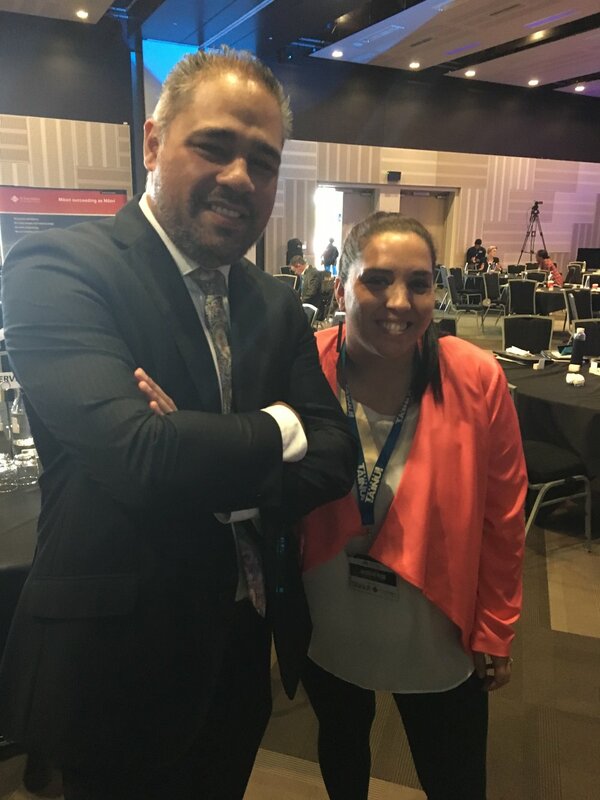 The conference provides an opportunity for the regions to show case their leadership and contribution in the “housing space” context and provides a platform for Maori and stakeholders to share ideas, information, network and to formulate strategies to assist Maori into quality affordable housing. 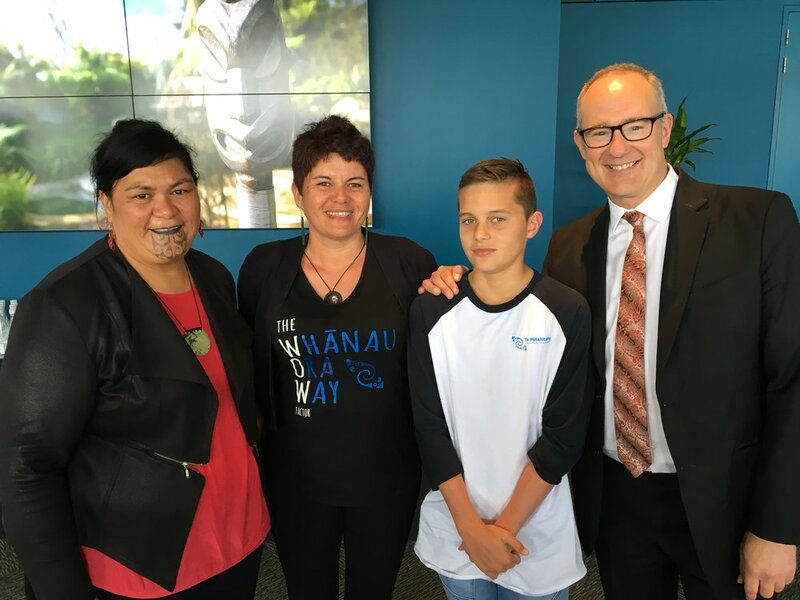 Gina-Lee Duncan and her son, Ricco, showing the Whānau Ora Way with Hon Nanaia Mahuta, Minister of Māori Housing; and Hon Phil Twyford, Minister of Housing. The conference began reminding whānau of the Budget announcement that had ben made in May this year of a $15 million Māori housing fund to support whānau-led community development outcomes. Te Puni Kōkiri will manage the $15 million Māori housing fund for use towards papakāinga housing developments and community-led housing repair programmes. Sharon Armstrong (Ngati Kahungunu) has been a key mover and shaker in many areas of her life. She’s never shied away from a challenge: whether as a probation officer for the Department of Corrections before her move to Wellington where she took on the role of the former Maori Language Commission deputy chief executive. But perhaps one of the greatest challenges she has faced came when she was arrested in April 2011 in Buenos Aires after being found with 5 kilograms of cocaine in a suitcase. Organised Deception is however much more than a journal of prison life. It is a chronicle of character; a story of resilience and survival at all costs. The mud is most definitely present. There is no doubt that Sharon fell in love for a person who captured her into a sticky web of false identity, fraud, debt, drugs and finally incarceration. ‘Organised Deception’ describes the context in which to understand the manipulative powers of the ‘Romance Scammer’ and its traumatic consequences for the unsuspecting victim. But the wounds to her soul also create the space by which light can shine through. And that light comes through powerfully, consistently, relentlessly in the force of optimism, faith and belief that Sharon upholds in the source of her greatest strength; her whānau. This week we bid farewell to Sharon – giving her the regal send off we all believed she deserved. She has modelled courage; strength, resilience, persistence and faith in remarkable consistency - and we are all richer for the time we have shared. The nitrate levels have increased to the highest level ever recorded at Te Waikoropupū Springs. Te Pūtahitanga o Te Waipounamu has been asked to spread the word, and encourage whānau to write to the Mayor and Councillors of the Tasman District Council to say no dairy expansion to reduce cow numbers and stop all chemical fertiliser use immediately. We ended the week on a massive high after a day with Marama Edwards (Group General Manager, Community, Partnerships and Programmes for the Ministry of Social Development) with her leadership team: Manaia King, Mark Henderson, Linn Araboglos, Kelvin Moffatt, Charlie Howe, Serena Curtis-Lemuelu, and two Regional Commissioners, Jason Tibble and John Henderson. We had a brilliant day together, sharing some of our magical moments through time with Jaye Pukepuke (Bros for Change) Hori Mataki (Ariki Creative)’ and a consortium focused on confronting family and sexual violence : Te Whare Hauora; Te Puna Oranga; He Waka Tapu; and Gwyneth Beard who shared the story of her whānau campaign to prevent and eliminate violence. Maire Kipa, with Billie-Jean; Jynine; Gwyneth and Marceia. The day finished on a high with Rangimarie Parata Takurua (Te Pa o Rakaihautu); Dy Stirling (Noku Te Ao) and Gayle Brislane (Whānau Ora Navigator). Such visits are really important to us to provide a space to share the successes and the strategies of the commissioning approach as it is applied and implemented across Aotearoa. 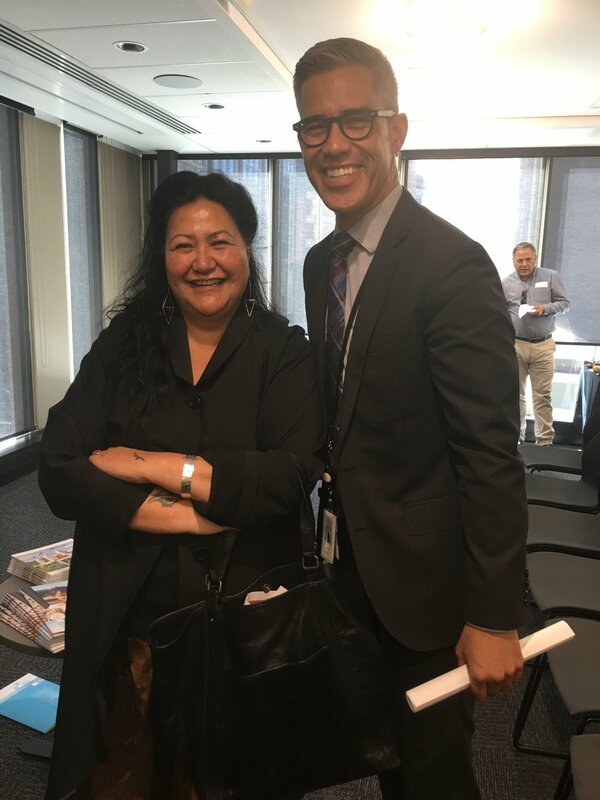 We appreciate that having a department’s core leadership team sacrifice a business day to learn about the approach Te Pūtahitanga o Te Waipounamu is taking is massive – and we are indeed grateful for the commitment shown by the Ministry of Social Development.